Occasionally I get asked what side of the road the Irish drive on. Just like our British neighbors, Irish people drive on the left side of the road while sitting on the right side of the car. This creates a lot of angst for the typical American when driving there for the first time. If you’re wondering whether to risk driving in Ireland please read on. Only you can decide what your comfort level is. There are many differences in signage, terminology and road rules. 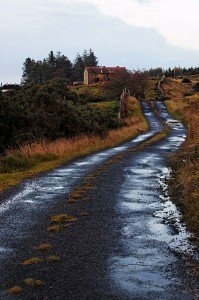 Throw in some narrow winding roads and adverse weather, like Ireland’s notorious rain and mist, and driving can turn into a daunting challenge. 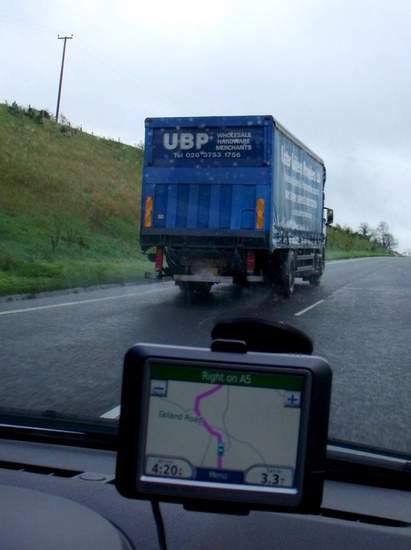 There is a steep learning curve for those new to Irish roads. Renting a car at Dublin Airport and driving it through the city within hours of landing requires a new set of skills. Rest assured! It is not an impossible feat. 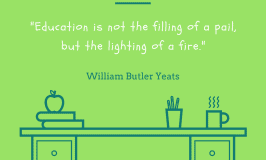 In fact, it is very doable with the proper planning and advance study. You will find by day 2 or 3, you’ll be very happy with your new found freedom of the Irish road. The first thing you’ll notice when in Ireland is that the vast majority of cars are small compact cars. There are not many gas guzzling SUV’s and 4X4’s, so common in the USA. The cars are small for a couple of reasons. The smaller frame translates into a smaller engine, and obviously requires less gasoline or “petrol” as we say in Ireland. Also, Irish car owners are charged an annual road tax based on the engine horsepower for older cars, and CO2 emissions rating for newer cars. This road tax can be a few hundred euro a year. Road tax is included in the price of the fuel in the USA. The next thing you may notice is that there are roundabouts everywhere. Remember, traffic on a roundabout has the right of way. Always yield to traffic on the right as you merge. Once on the roundabout never stop, if you miss your exit. Simply do another loop. Always use your turn signals and be careful changing lanes. Upadate July 2016 – Some of the roundabouts in the cities have traffic lights to help control the flow of traffic. 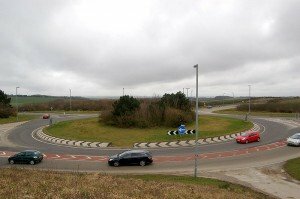 Do stop if a traffic light on a roundabout is red. Stepping into an Irish rental car for the first time is a very alien experience. The gear stick is now near your left hand, and your rearview mirror is now on the left side. The only thing that’s the same are the floor pedals. 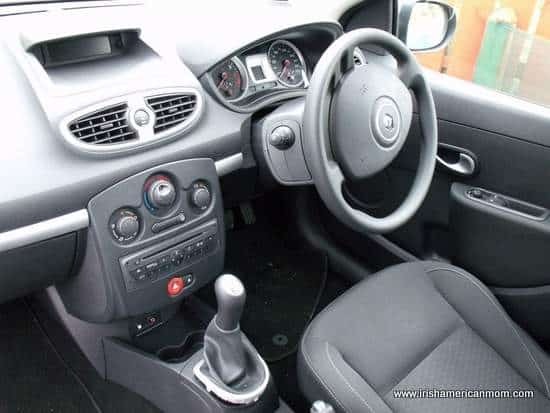 The clutch being on the normal left foot, brake in the middle and accelerator on the right. It takes a bit of practice and muscle memory to get proficient at changing gears, but you’ll get the hang of it faster than you think. Your relative position on the road feels very different when sitting on the right side of the car. You’ll need to position yourself, the driver, to the right of your lane to keep your car centered within the lane. Before you drive your car sit in the right seat and visualize yourself driving on the left side. Remember the driver always sits near the center of the road. Just getting out of the airport will involve a bit of prior planning. Study your maps and having a good navigator will help a lot. There are only a few toll roads in Ireland. The M-1 and M-50 come to mind. Be familiar with the euro currency and have some euro coins handy for these tolls. 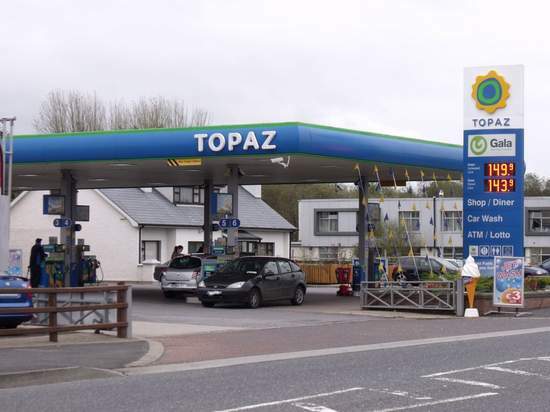 Gas stations are called filling stations or petrol stations in Ireland. You’ll see lots of them when entering or exiting towns and villages. Some are full service and some are self service. Most have shops, ATM’s and food. Most, if not all take Visa and Mastercard. In my experience about half take American Express. Do not ask for gas as they will think you are looking for propane or natural gas. A good percentage of cars in Ireland run on diesel fuel. Look closely at the markings on the pump. Make sure you’re putting in the correct fuel. Don’t assume the green color means unleaded. It could be a diesel pump. However the diesel pump nozzle is usually much larger and should not fit into the petrol tank. 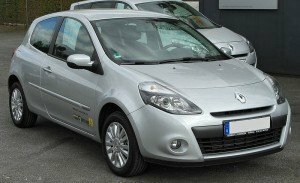 Putting diesel into a petrol car is an expensive mistake. If in doubt, do not start the engine. The petrol prices can be a bit confusing. At the time of this post petrol prices are €1.49 per liter. To compare the price to an American gallon you’ll have to multiply by 3.79. Remember a US gallon is smaller than an Irish Imperial gallon. 3.79 liters versus 4.55 liters. Do the math and that works out to be $5.66 per US gallon. Ouch! Now you know why people buy small cars in Ireland! Thankfully the smaller rental cars will probably get good mileage out of a tank of fuel. Gas stations may not be as plentiful in Ireland and may close earlier than they do in the States, so plan accordingly. While there, pick up a good detailed road atlas. 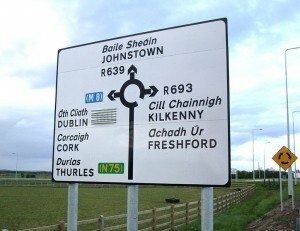 For the most part the driving rules in Ireland are close to the rules of the USA. 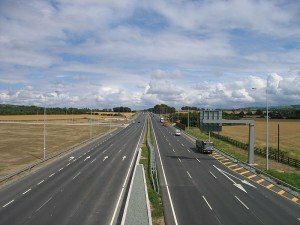 With the exception of Ireland’s small motorway system, you’ll find Irish roads are not up to the typical American highway or freeway standard. These roads are much narrower and windier, than even the rural roads in the USA. 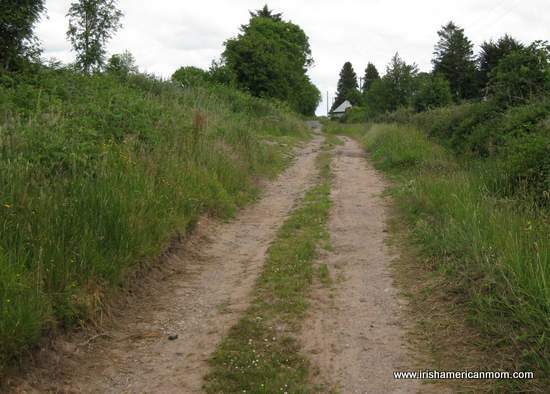 While American roads have a double yellow line as the central divider of a 2-way road, Irish roads have a white line. The yellow or double yellow line is at the side or hard shoulder and means no parking. Unless you have what’s called a filter light arrow you cannot turn left (or right) on a red light. Road signs are in English and Gaelic. Nearly all distances are in kilometers and speed limits are in kilometers per hour (KM/H) with the exception of some older pre 1990’s signs which still show miles and MPH. Confusing, I know! 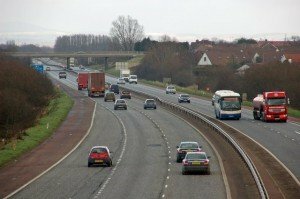 The fastest speed limit for motorways like the M-1 and M-50 is 120 KM/H (74 MPH). 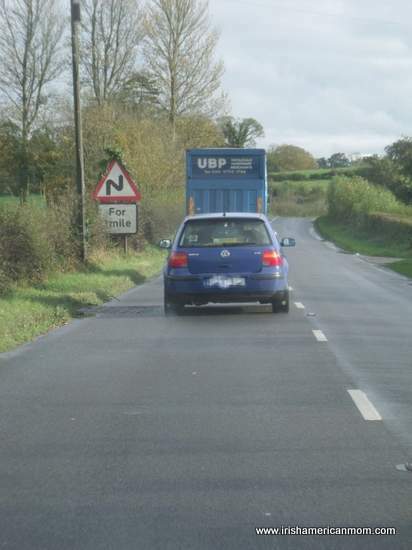 Most rural 2 lane roads (designated R) are 80 KPH (49 MPH). Most national roads (designated N) are 100 KM/H (62 MPH) and generally 50 KM/H (30 MPH) in towns. Seat belts are mandatory in all seats for all occupants as are child seats for children. Don’t expect to average 70 miles per hour in Ireland. Get stuck behind a slow moving vehicle and you might average 35 to 40. Be extra cautious when entering small towns as the speed limits decrease significantly. Posted limits and sometime road humps will warn you. Road surveillance cameras are quite common in Ireland. If you are speeding they will take a photo of your rear license plate. You’ll either get a fine in the mail or your rental agency will bill your on-file credit card. Just because you’re in a rental car you are not immune. City driving is probably the biggest challenge to the tourist. Have a plan and a good navigator and it will make your task much easier. Street signs are not as well posted as they are in the States. Often times you will not see them. Some street signs are mounted on poles while others are on the gable of a house or building. Again, here you’ll find a GPS unit very valuable. When driving in the city you’ll find when sitting in slow traffic that motorcycles and bicycles pass on either side and proceed to the front of the line. Sometimes you’ll wonder how they made it through such a small gap at such speed without ripping off a mirror or two. Cities will often have bus lanes and taxi lanes. Do not use these as you will be fined. You’ll find most European cities are not developed on a grid system like the modern cities in the USA. A Dublin roadmap resembles a bowl of spaghetti, making it hard to keep your situational awareness. If you’re spending time in the big cities you may find it easier to park your car to use the public transport system. Where to park can be confusing, even to the locals. Traffic wardens patrol the streets in towns and cities preying on unsuspecting tourists and locals taking their chances. Yellow lines on the side of the road mean no parking during business hours and double yellow lines means no parking anytime. The old joke used to be: One yellow line means no parking at all, while two yellow lines means no parking at all, at all. You’ll find plenty of pay parking lots or car parks as they say in Ireland. 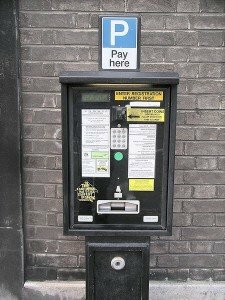 Many towns use the “pay and display” method, where you buy your ticket from the machine and display it on your dashboard. Some towns use the “disc” method. You can buy a parking disc from the local shop and display it. Pay attention to the parking signs on the street and read the directions. When driving on rural 2 lane roads, occasionally you’ll get stuck behind a large truck (lorry) or tractor with no opportunity to pass. Although sometimes it’s a frustrating experience and a lesson in patience, most times if able, the driver will pull into the hard shoulder and let you pass. In turn, if you are driving slowly you can do this too and let the faster drivers past. Irish drivers nearly always say thank you by flashing their hazard warning flashers for a couple of blinks. Be careful of the speed limits. Just because the speed limit is 100 KPH, doesn’t mean it’s safe to drive at that speed. A lot of times you’ll find the road surface and conditions will not permit driving at or near the speed limit. Some of the locals drive like Michael Shumacher, so beware. When driving on rural roads you’ll find stray sheep and cows on the roads. Most of these animals are pretty road savvy, but occasionally you’ll see them dart in unpredictable directions. So don’t trust them to stay out of your way. When meeting oncoming traffic driving on smaller rural roads you’ll need to slow down and put two wheels on the grass to get by. Occasionally one of you will need to back up to find a good place to pass. When passing most Irish drivers will give you a one finger salute. Don’t worry, this isn’t the middle finger and means well. At the height of the troubles in Northern Ireland (NI), crossing the border checkpoint from the Republic was a traumatic experience, akin to crossing into East Berlin. One would need to budget an extra hour to your day. Thankfully today it’s a total non-event. In fact, you may not even notice when you’ve crossed as the signs are very subtle. There are a few differences. Road signs and markings are in English only. Northern Ireland uses miles for distance and miles per hour for speed, as opposed to (mostly) kilometers and kilometers per hour in the Republic. NI car registration plates are yellow on the back and white on the front. They do not have abbreviated county letters like the Republic do. For example, a plate reading 08 D 2424 means a 2008 Dublin registered vehicle. Typically the max speed limit in NI is 60 MPH which is about 96 KM/H. If you rented your car from Dublin or Shannon there’s a good chance your rental car does not even show MPH on the speedometer. Also remember Northern Ireland uses the British pound as currency as it’s part of the UK. It’s a lifesaver here. I own a simple little inexpensive Garmin 270. It has a North American and European database. Buying a GPS like this before your journey may be as cost effective as renting one for a week or two. 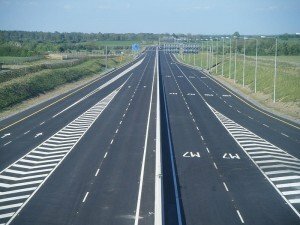 Ireland has been investing heavily in it’s infrastructure and building lots of new roads in the past few years, so make sure you update your database before leaving home. Also be aware that a GPS may take you via back roads over a mountain, if it thinks it will take you the shortest or fastest route depending in it’s programming. Have a map and a plan as backup. DUI or DWI, whatever you call it, just don’t do it! 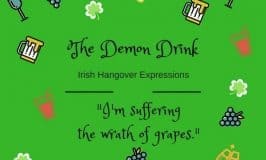 Because of the Road Traffic Act of 2010, the maximum blood alcohol content limits are a lot lower in Ireland than they are in most other countries. About one drink sends an average person over the limit. 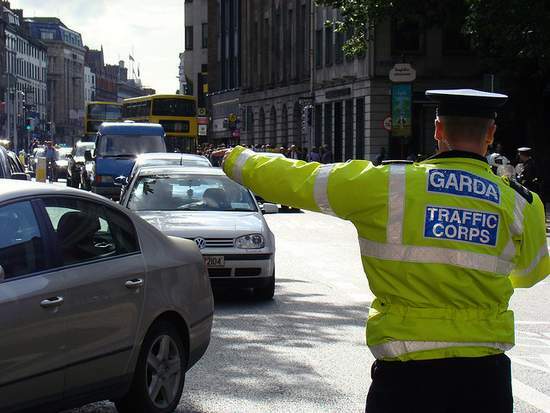 Expect the Irish Police (Garda) to have checkpoints on roads at night and especially on holidays and weekends. It is also quite common to have Garda sobriety checks on a Sunday morning to catch the still-drunk-from-the-night-before driver. A cell or mobile phone is a very handy thing to have on your journey. An American phone and a roaming plan for Ireland is the simplest but most expensive option. As long as you only use it in a jam, that’s okay. Another option is to purchase a cheap, no-frills phone and sim card from an Irish mobile phone carrier, like Vodaphone, 3, O2 or Meteor. It will cost about €30 and can be used as pay-as-you-go. Top up the credit in most shops as you need it. It is against the law for the driver to use a cell phone while driving without a hands free device, like a Bluetooth. If you get into an accident call 999 for emergency services (not 911 like in the US). Also inform your car rental agency in a timely manner. Take photos before you move your car and round up any witness there might be. Go slowly! Don’t get intimidated by fast drivers. Enjoy the scenery! Pull over frequently. Talk to the friendly natives and take your time to smell the roses. Study up on road signs. Always have a plan and know where you’re going. 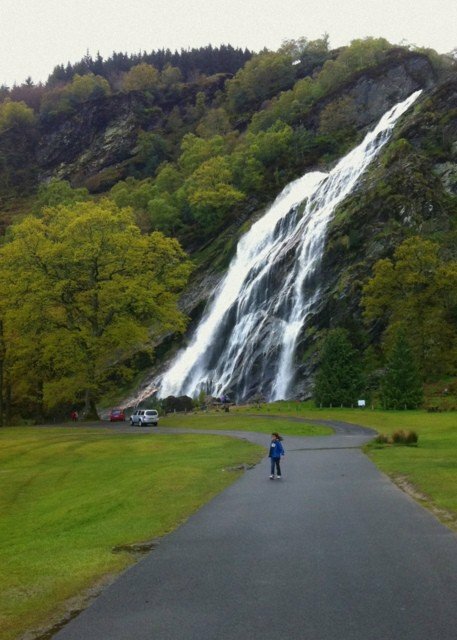 You’ll find that you will have a wonderful time motoring around Ireland. Good to know! I hope to get to visit Ireland at some point in my life. Love your blog. i have a question for you? Do the petrol stations have restrooms? Debra – Some of the petrol stations have rest rooms, but sometimes you have to ask the cashier for a key. Newer stations are most likely to have public toilets, but there are no guarantees in Ireland. One thing I really appreciate about America is the abundance of clean toilets. Thanks so much for stopping by, and if you are planning a trip to Ireland, I hope you have a wonderful time. So extremely helpful! I’ll be in Ireland for two weeks, driving around. I know this post is from 2011, but would this all still be accurate for today? Any changes? Hi Magie – I quickly re-read this post and the information is still valid today. The only good news is that the price of petrol or gas has come down a little since this post was written. One other thing to watch out for is roundabouts with traffic lights on them. If the traffic light is red you do stop on the roundabout. More and more roundabouts have had traffic lights added to help deal with congestion, but they are primarily found in the cities. Roundabouts in rural areas seldom have traffic lights. 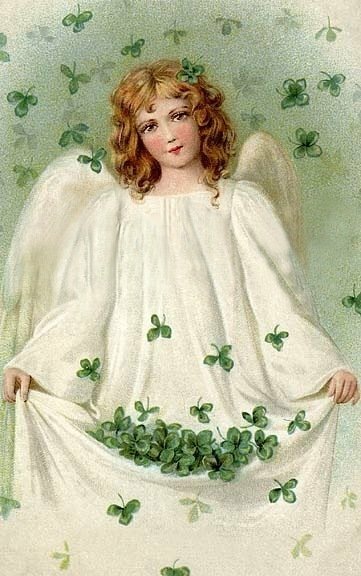 I hope you have a wonderful time in Ireland. May it be everything you ever dreamed Ireland might be. All the best, and safe travels. 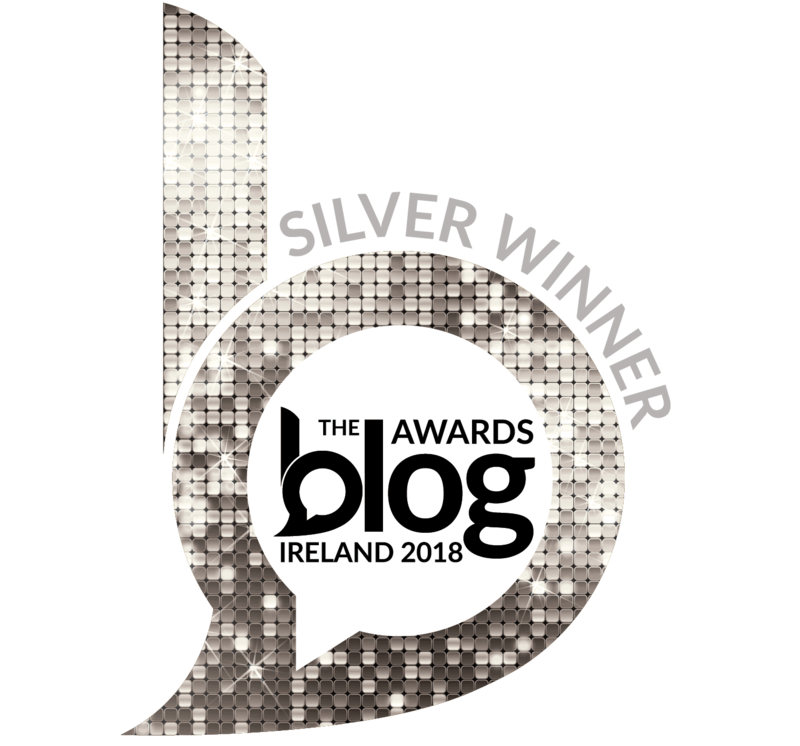 Thank you, Mairéad! 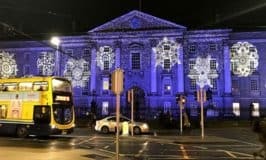 I lived in Limerick while studying abroad 9 years ago, but never drove around. Also my first time back since then, so I’m very excited to explore at my own pace. Thank you for the swift response! Lovely to hear this is a return trip for you, Magie. Enjoy every moment of your time.